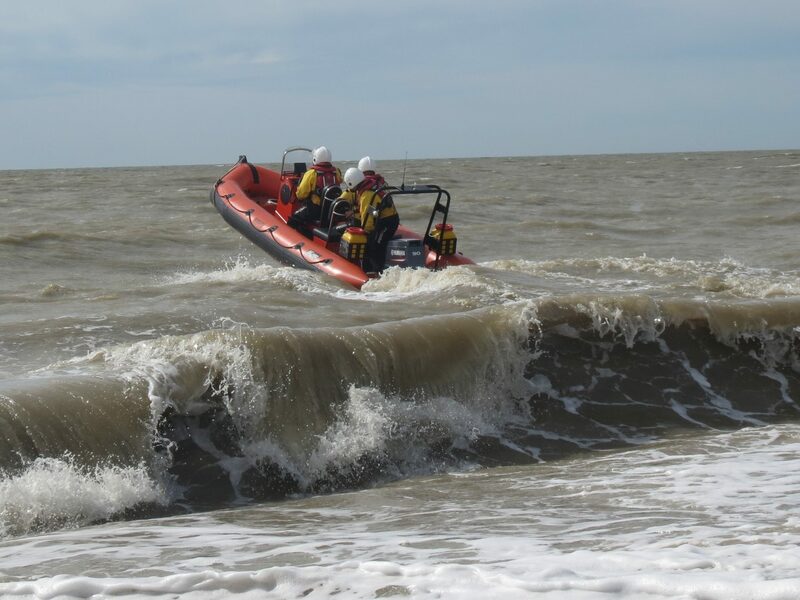 Last Sunday’s training was an extension of our missing person search and rescue training, with a scenario of a ‘reported casualty’ around the Cliff End area of the beach. 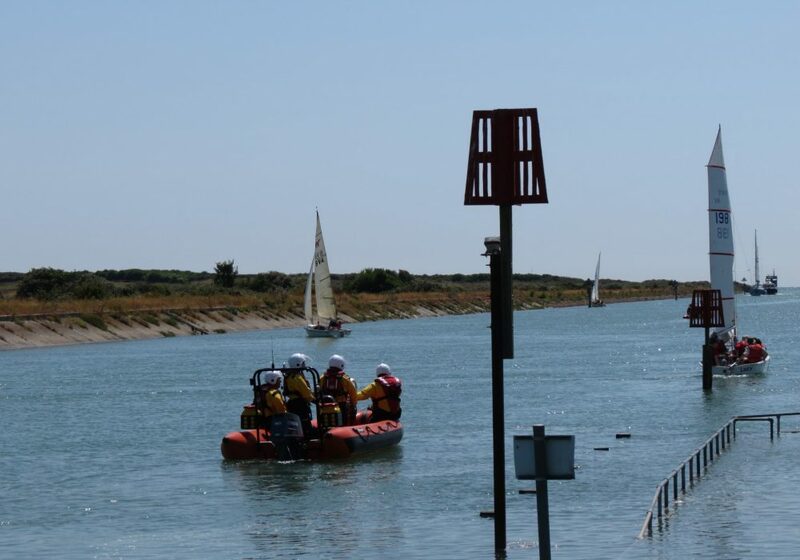 The team responded as this a ‘real-time’ exercise, and attended the location to administer first aid and to retrieve the casualty to the safety of the boat house where, in a real-life situation, an ambulance would have been waiting. As this training aimed to be as close to real life as possible, the scenario anticipated that an ambulance wouldn’t attend for at least forty minutes, so it was a chance to refresh our recent first aid training, with a focus on stabilising the ‘casualty’ in the interim. All aspects of search, rescue, first aid and shore protocol came into play for base and rescue crews. 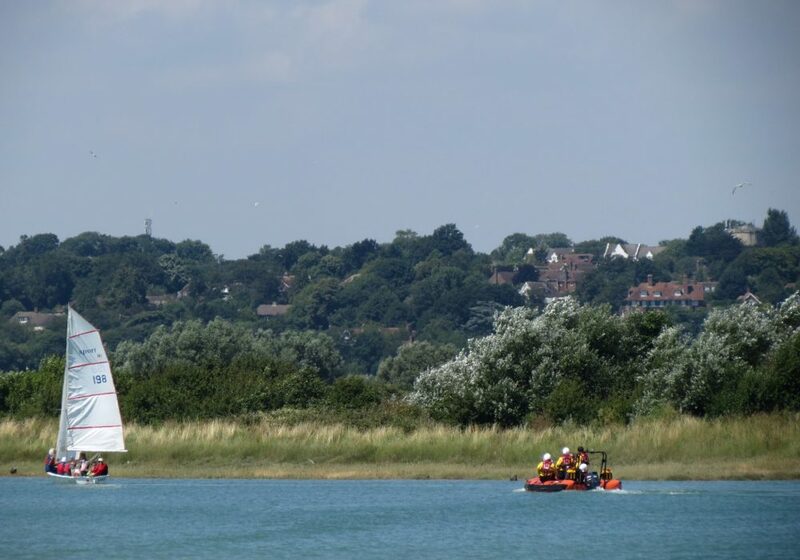 As it was extremely windy, with a high and rolling tide (as captured in the above photo, the boat wasn’t launched. Instead, the team walked along to Cliff End, which is something which would also happen if this was a real-life call to the Cliff End area. In the event, our ‘casualty’ was assessed for injury, with protocol for suspected head and neck injury in place. Several members of the team were involved in moving the casualty onto the stretcher and then removing the casualty from the beach. Once back at base, the scenario was then repeated during the debrief so that learning points arising from the training could be reinforced. 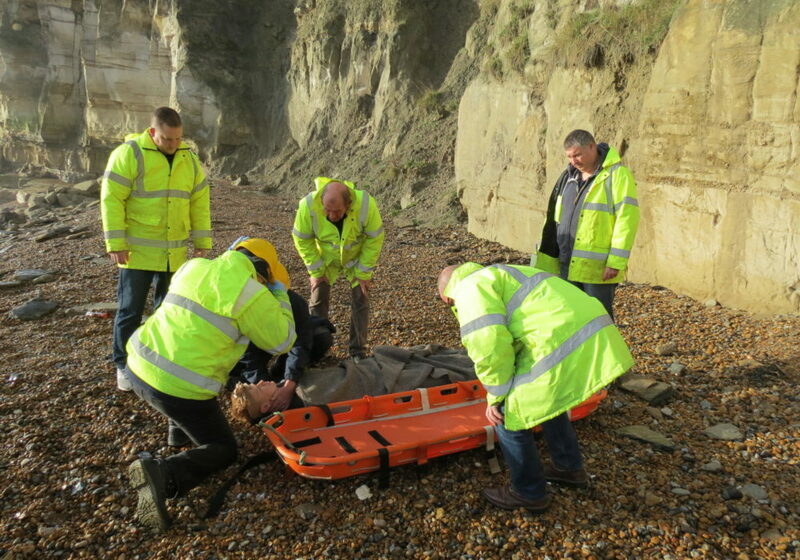 This particularly applied to the stretcher use as many of our trainees had not yet been involved in using the stretcher for casualty retrieval and the actual practice of getting a person off the beach, via the rocks is something which takes some getting used to. 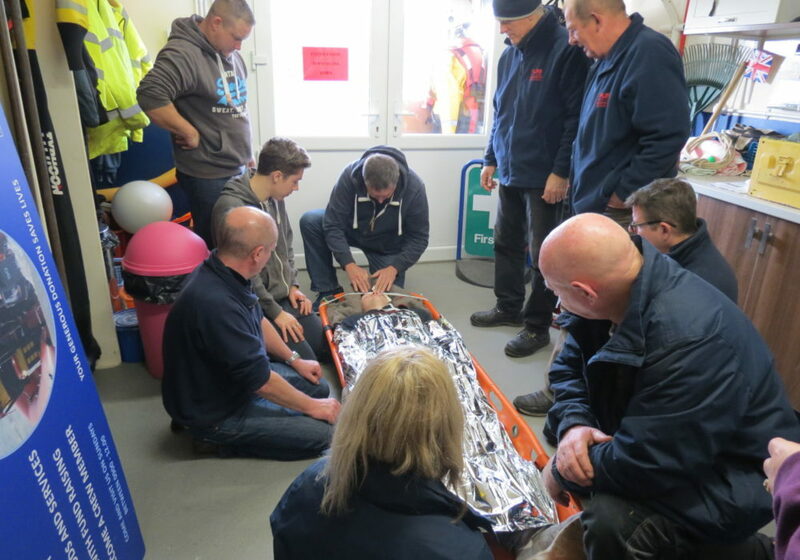 As well as the actual physical stretcher retrieval training, it was vital to put our first aid training into practice so that we can be as rescue-ready as possible at any time of the year. And with all of that in mind, this kind of training will be ongoing as we move into 2019. So if you’d like to get involved, by joining us as a volunteer – for base, boat or admin and committee roles – please contact us. 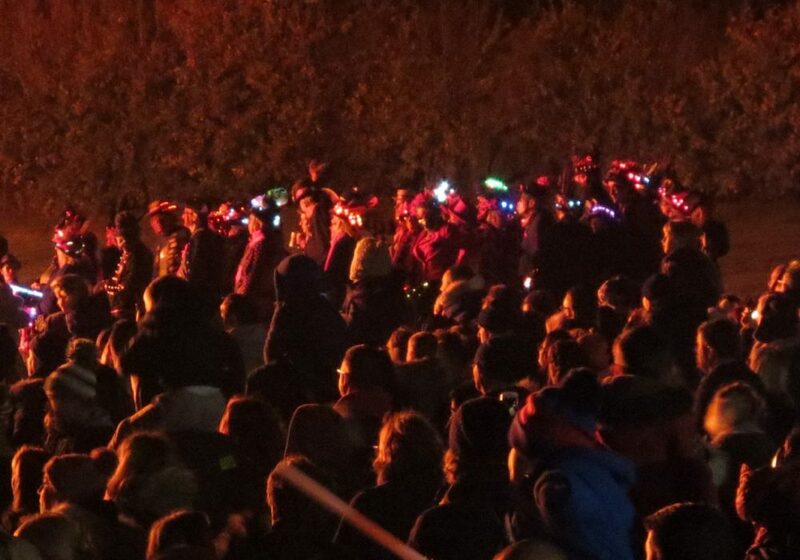 Our first night launch training of the season took place on 21st November. 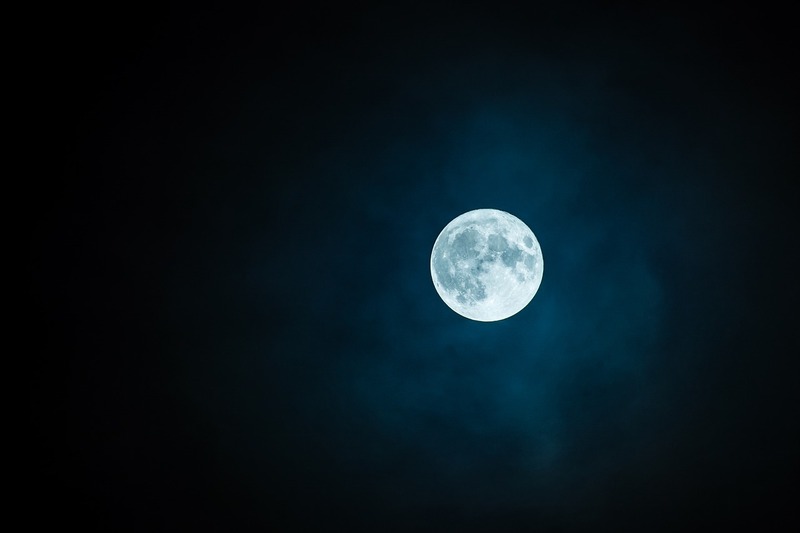 Weather conditions were good, cold and dark (a necessary part of the training), but with a brilliant moon and starry sky helping conditions to feel eerily well-lit. 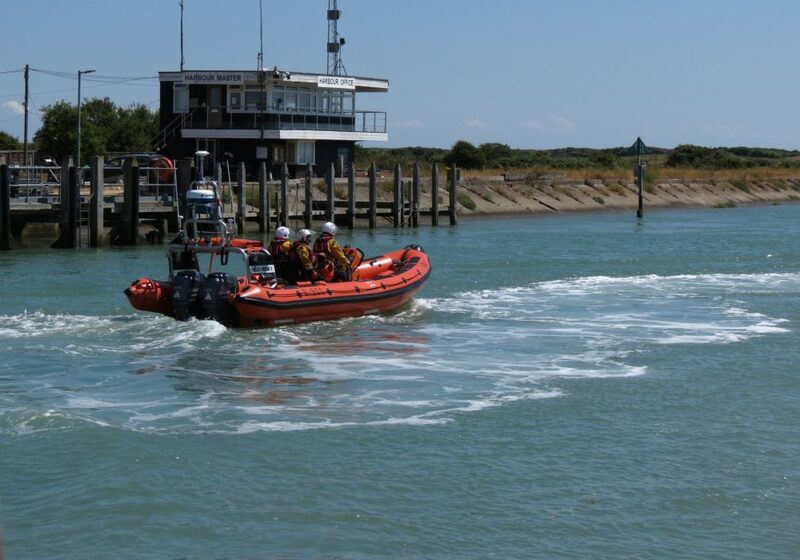 The evening’s training had been planned around a training scenario of searching for a missing person along the Winchelsea Beach stretch of the coast. 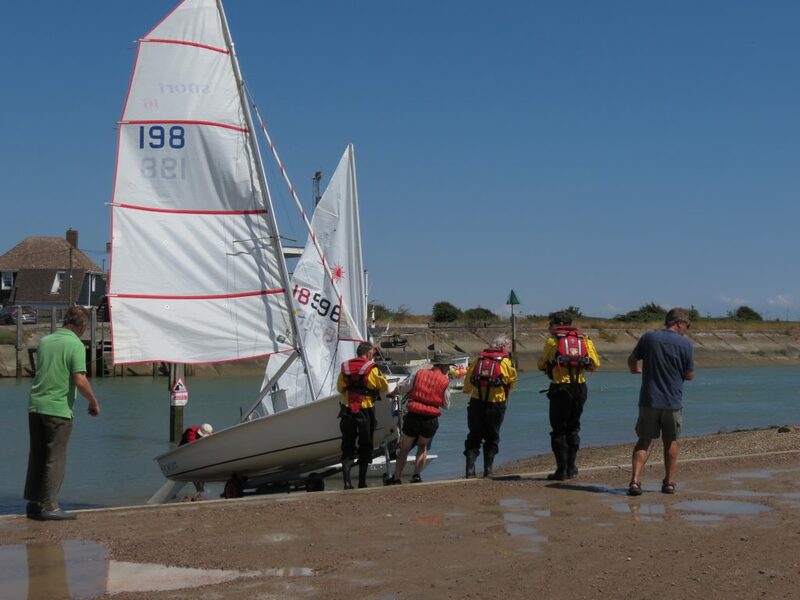 Established crew, along with boat and base trainees were kept busy in all aspects of search and rescue, and shore protocol – radio, coordinates and location, as well as helm practice and night-search logistics. Although the night was successful, it’s essential to practice in all types of light and weather conditions. 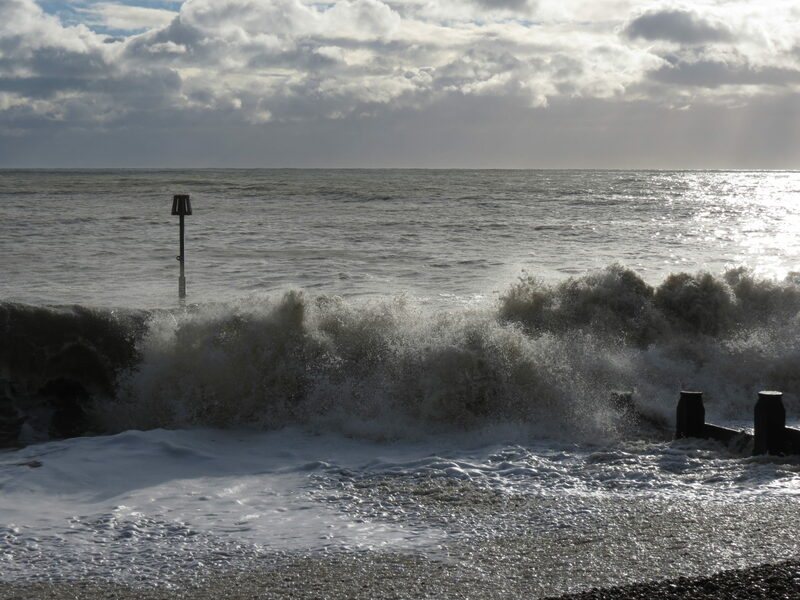 But as well as the conditions, the scenario is also an important one, as we’ve had several recent incidences relating to persons missing around the beach area. With this being such a common call out for us, it’s essential to incorporate this type of situation into our training sessions so we’re hoping to schedule another night training session for next month. 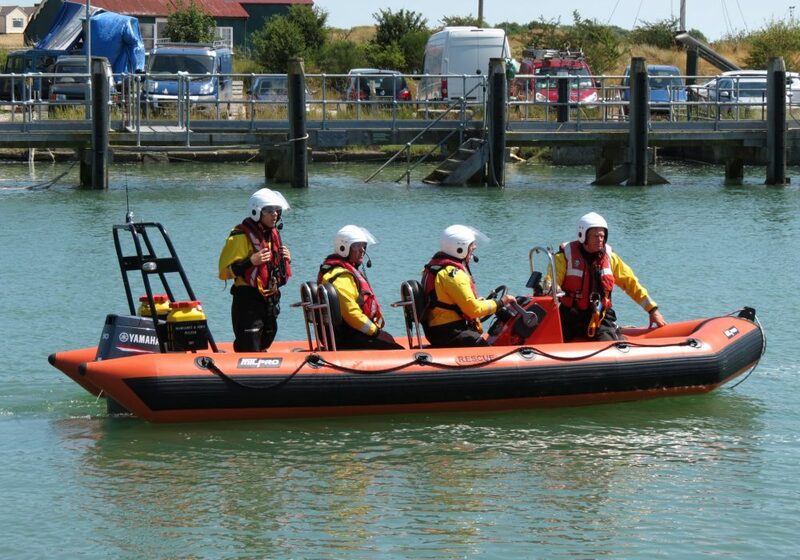 And of course all training is vital practice for all members of our crew, including those who are fairly new to us. If you’re interested in joining us as a volunteer, please contact us or pop down to see us during our Sunday morning training sessions. 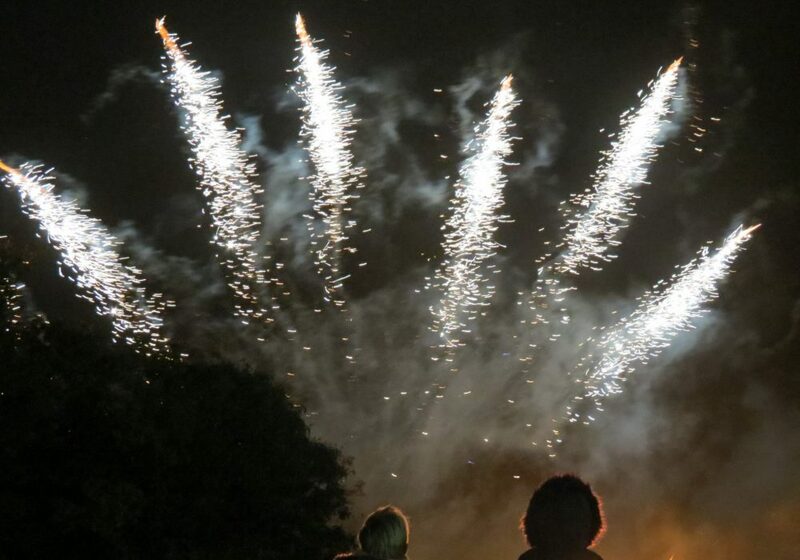 After a busy morning’s training, some of the volunteer base and boat crews from Pett Independent Rescue Boat attended the stunning fireworks event at the Robin Hood in Icklesham on 4th November 2018. 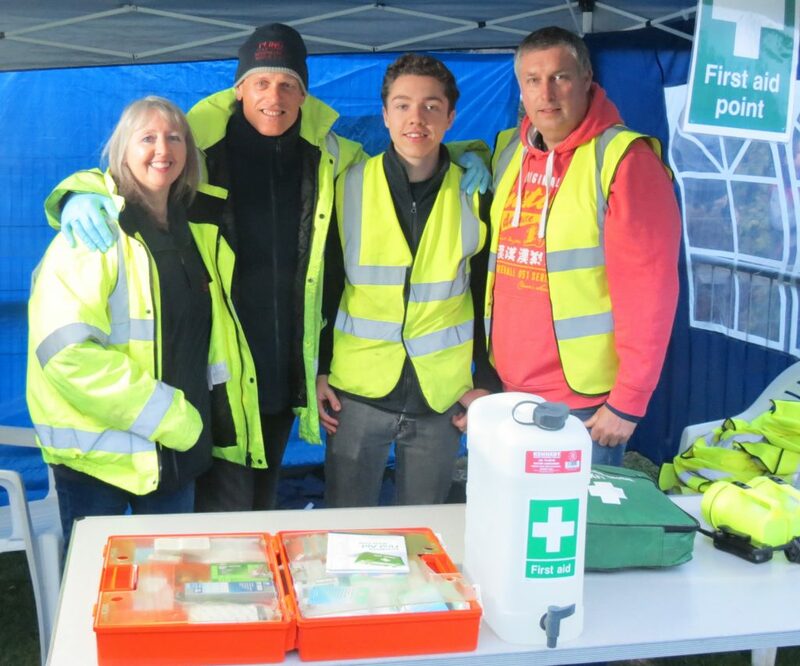 We were invited to attend this popular event, run by the Robin Hood Bonfire Society, to help out as volunteers supporting the First Aid on-site for the occasion. In all, five crew members went along, including some who had recently completed their recent first aid and refresher training. Setting up the First Aid tent, four of our volunteers – Kathy, John, Isaac and Darren – Jo was also part of the team but managed to avoid the photo! 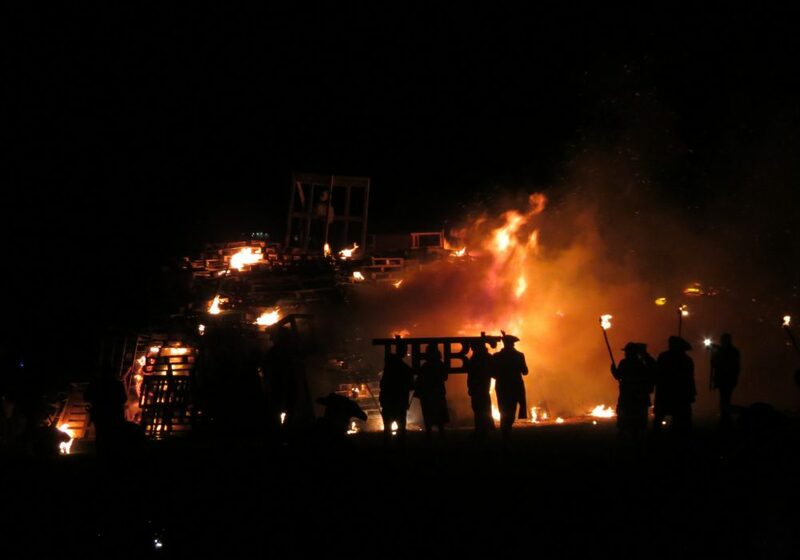 The evening started off with an amazing procession of various societies within the local (and slightly further afield) community, including bonfire societies from Rye, Hastings, Hawkhurst and Lewes and of course the Robin Hood’s own bonfire society. 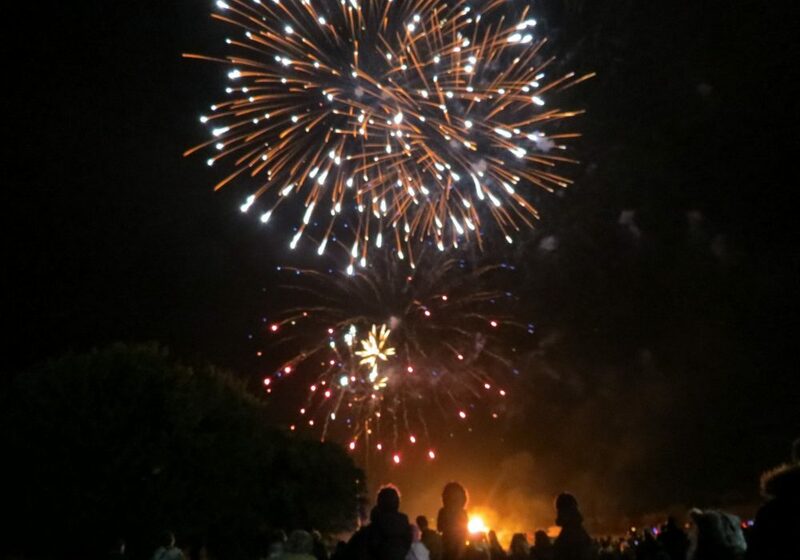 With torches and banners held aloft, costumes and face-paint galore and the throb of the drums, the pageantry and excitement of the bonfire lighting was as wonderful as the firework display which followed it. Another reason the event was a resounding success was the fact that there were no major mishaps or first aid needed: a small child was reunited with parents, an off-site incident was alerted to the team but attended by emergency medical services, all of which just left the small matter of attending to one of our own crew who was (for once) not wearing the launch vehicle but instead wearing one of his other volunteer hats: in his role as part of the Robin Hood bonfire team. 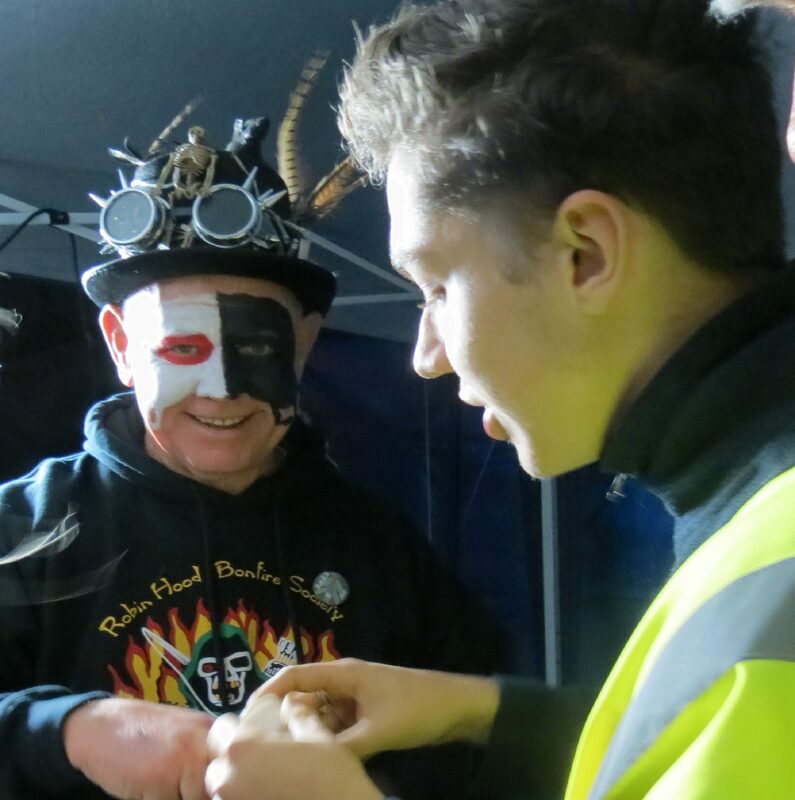 Kev (with his other hat on) and Isaac administering first aid (a Mr. Bump plaster turned out to be the most appropriate dressing)! 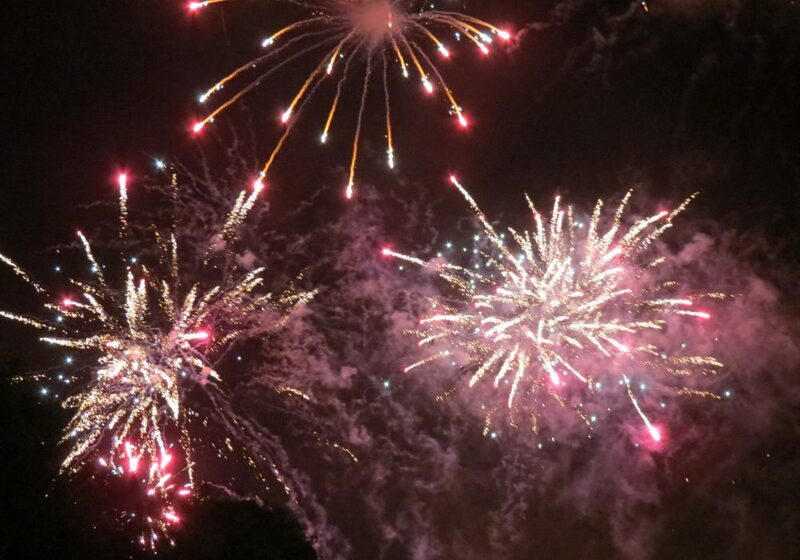 It really was a great evening, which we’re glad to have been part of. 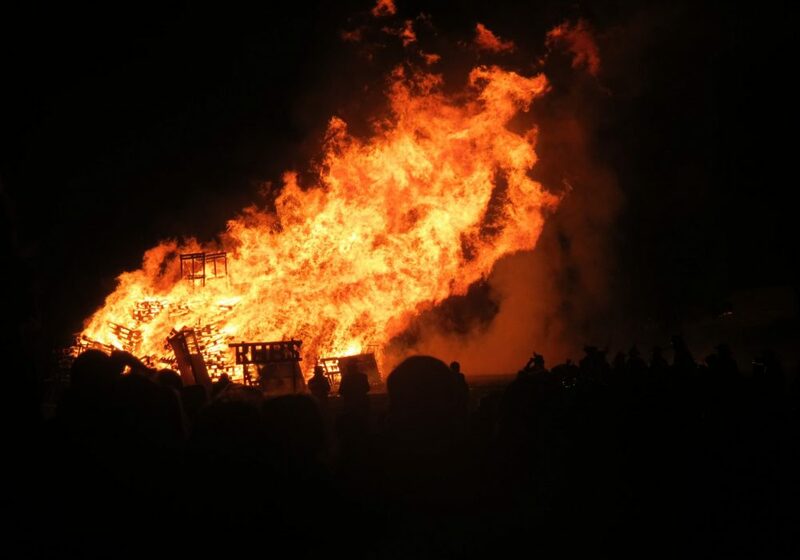 The Robin Hood staff and Bonfire Society made donation buckets for local charities (including PLIRB) available on the evening, so a big thank you to them for both supporting us and inviting us to help … we’re always proud to be part of this event. 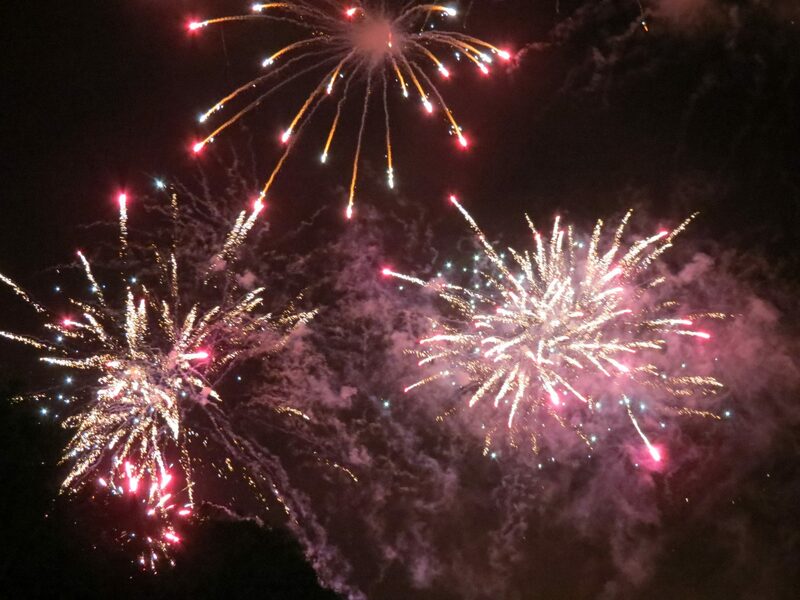 And thanks to everyone who supported the evening by coming along and by making donations. Reserve Launch Vehicle Fundraiser ~ Sainsbury’s is Onboard! The big news this week is that during last Sunday’s training, we had a visit from representatives of one of the local branches of Sainsbury’s. 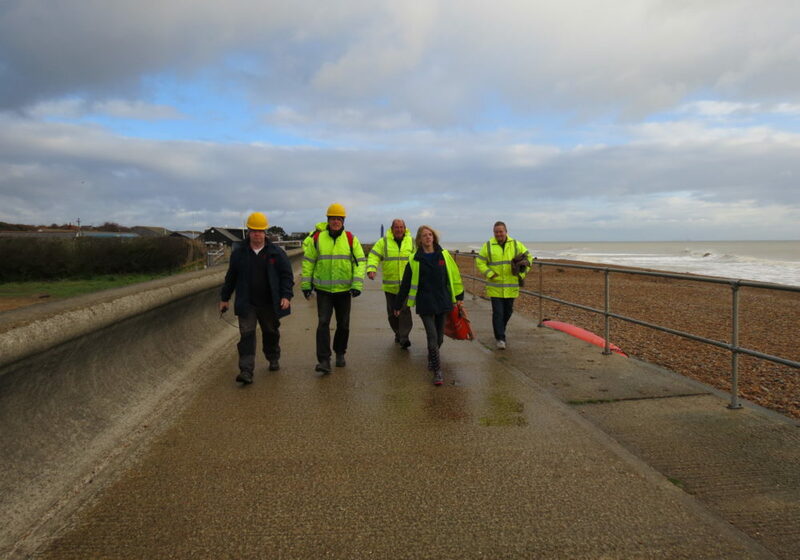 The group were from the Station Plaza, Hastings branch of Sainsbury’s and they came to explore what Pett Level Independent Rescue Boat is all about, including what we do ~ and how we do it. And the reason behind it all? Our visitors really wanted to see what goes on and why fundraising is so important to us because we’ve been nominated as the Station Plaza branch’s Local Charity of The Year, to help out with our Reserve Launch Vehicle Fundraiser. 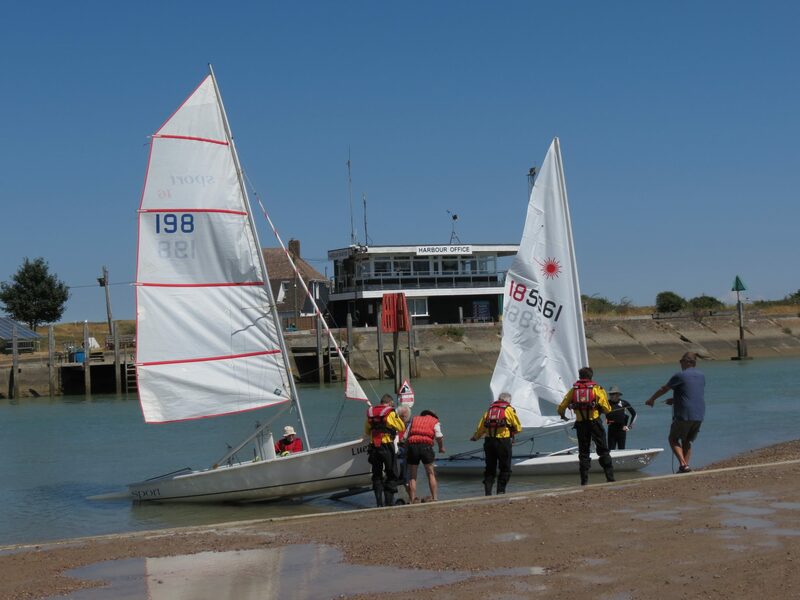 The timing of the tide on Sunday meant that the recent exceptionally low tides at training time gave way to a fast-incoming tide which was particularly rocking and rolling when it came to getting the boat in and out (not to mention the crew during crew changes)! 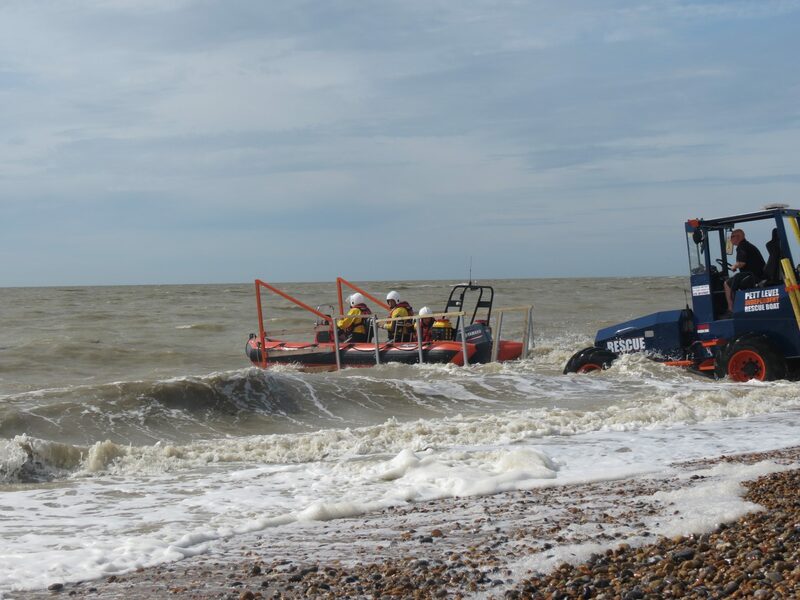 As usual, the tractor (and Kev) played a vital role in getting the boat launched and gave our guests the chance to see why it is essential that there is always a working tractor when it comes to getting the boat safely up and down the shingle ridge to the shore. And the great news? 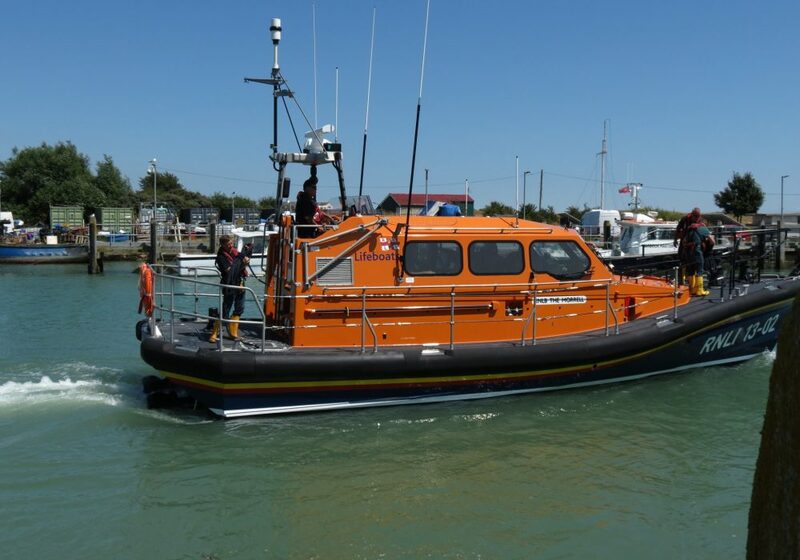 After a morning spent with base and boat crews, committee members and trustees, the Station Plaza, Hastings branch of Sainsbury’s announced that they would be extremely happy to help us with raising the £12,000 target for our Reserve Launch Vehicle fundraiser. Many thanks for the visit everyone and we look forward to bringing regular updates from our honourary Sainsbury’s Station Plaza crew (look out for our dedicated page on this coming soon)! 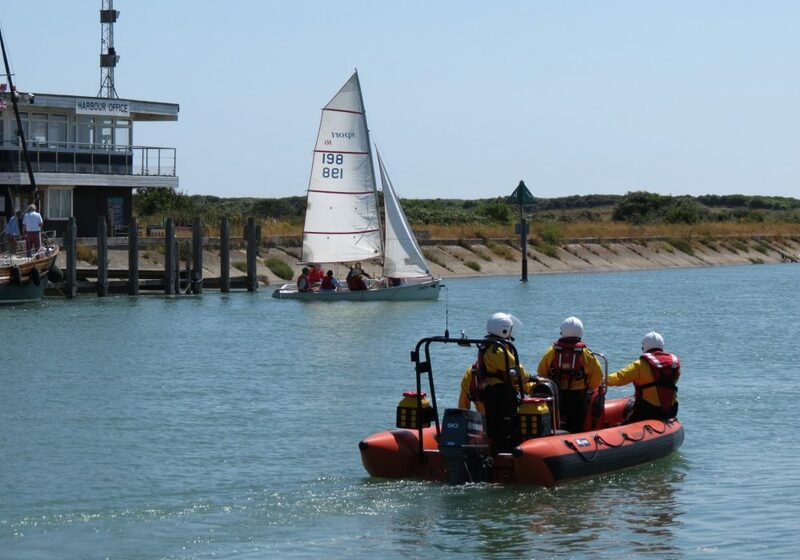 Saturday 14th July 2018 dawned bright and beautiful and saw some of the Pett Level Independent Rescue Boat crew attending the Rye Harbour Sailing Club’s July Sailability event to provide water safety support. 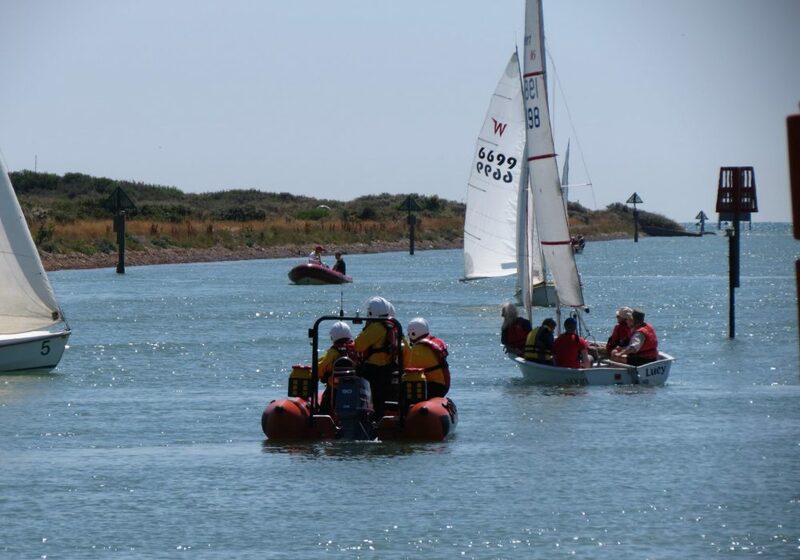 The weather was particularly spectacular (a far cry from the bright but pretty chilly days back in May where the crew also joined in with RHSC’s Sailability event). For today’s event, the Rye Harbour area was busy both quayside and on the water with visitors attending the RNLI Rye Harbour Open Day, would-be sailors joining in with the RHSC’s event and an assortment of leisure and fishing boats travelling down the harbour and along to Hastings ready for Pirate Day! 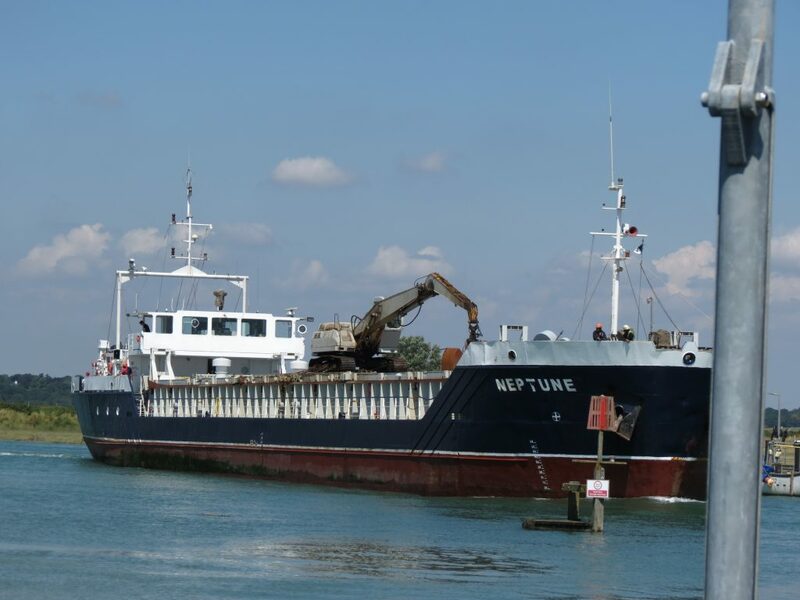 There was also a bit of a wait for boats at the river mouth as the highest point of the tide saw a large dredger boat going back out to sea, which caused all other river ‘traffic’ to pause to one side and watch this giant vessel make its way out of the harbour. 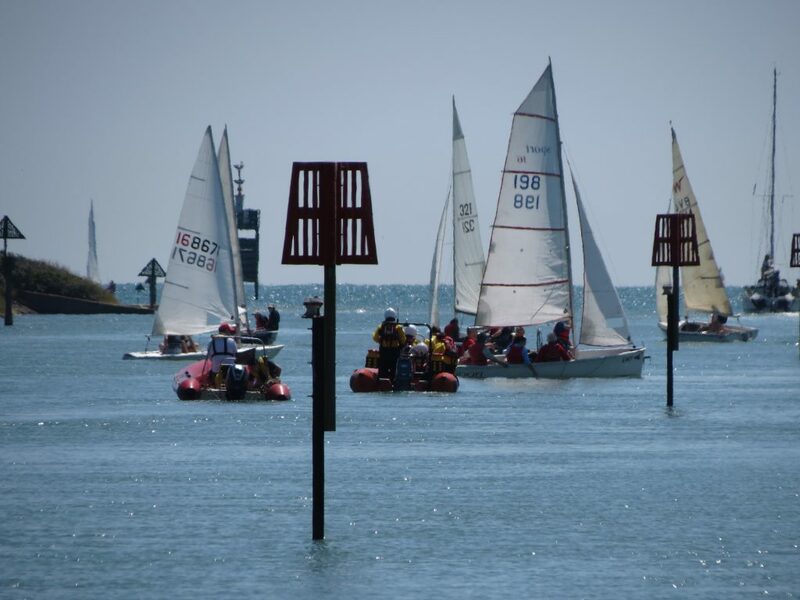 But once the big boat was out of the way, there was soon quite a flotilla of smaller boats eagerly setting sail … including ours! 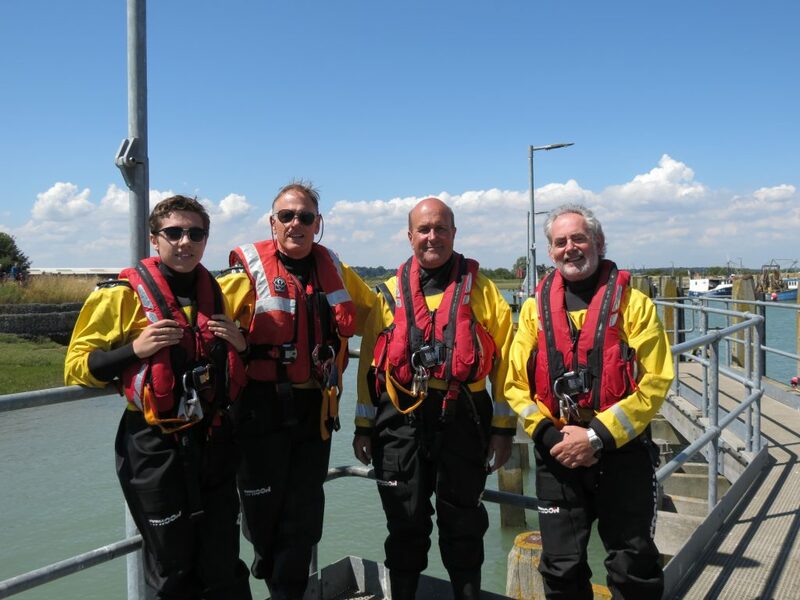 Our crew for the afternoon, Andy, Steve, Isaac and John in the Margaret and John Pulfer boat supported Luey’s crew as they tacked along the harbour mouth and up the River Rother. The tide seemed to remain high for quite some time but once it dropped, it went out pretty quickly, causing a few problems for sailing boats which had been moored temporarily and then found themselves dry-banked. Our crew were able to help pull the boats up to safety. 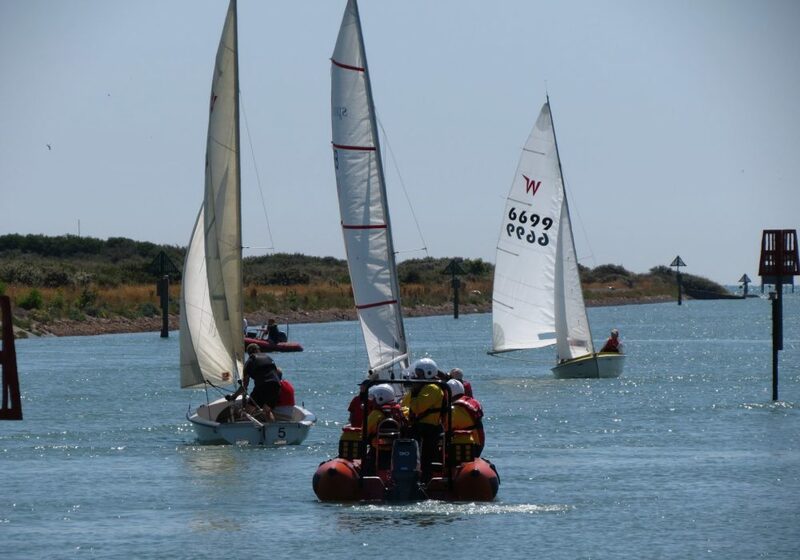 Once the event was over, Rye Sailing Club provided plenty of refreshments for the hungry and thirsty crew – many thanks for this. 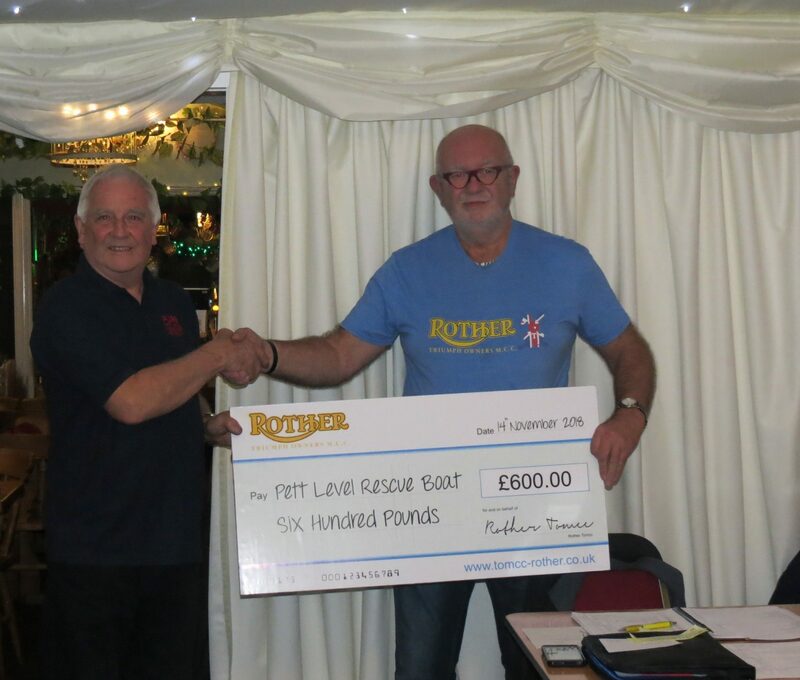 We’re not affiliated with the RNLI, as we’re an independent rescue boat charity. 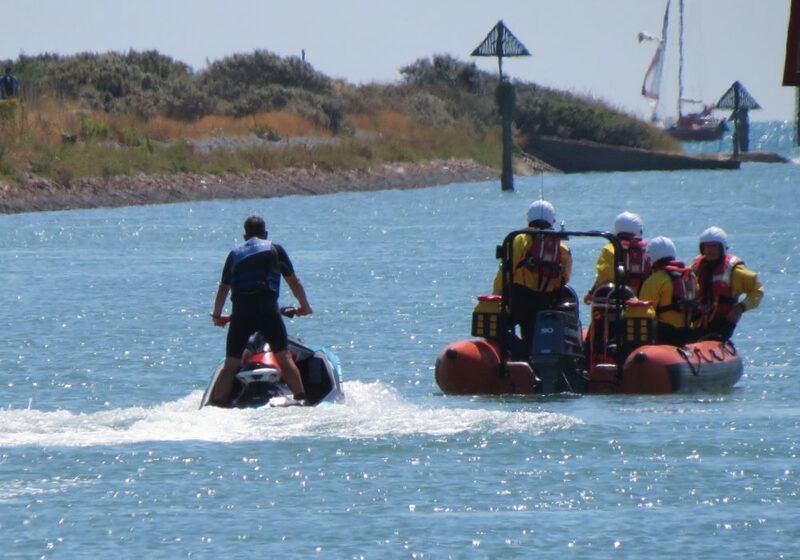 But of course, we all have a common goal – to ensure safety in local waters, so it was great to spend time working alongside our RNLI colleagues from Dungeness and Rye Harbour today. 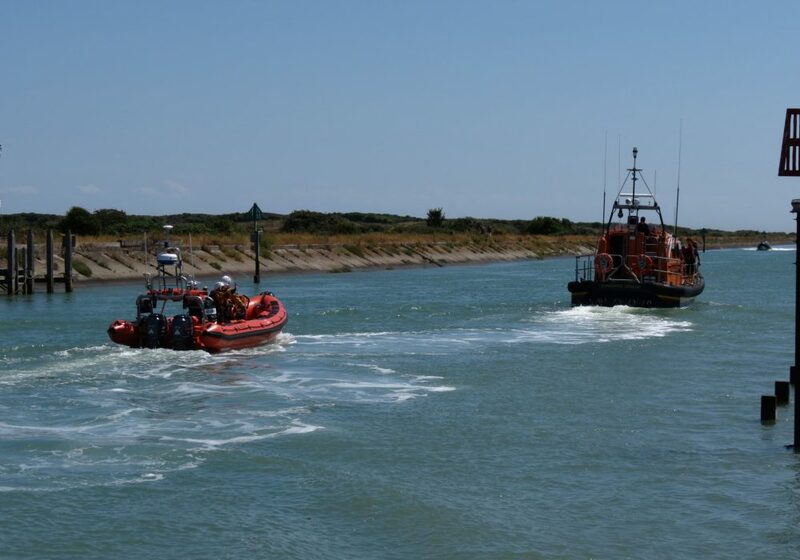 Particular thanks too, to the kind crew members from RNLI Rye Harbour lifeboat who supplied our crew with tea whilst they were all waiting for the large dredger to be clear of the harbour so other events could begin. Much appreciated. However, it wasn’t plain sailing for all of the PLIRB crew this afternoon as, meanwhile, there were a few technical hitches with the tractor. Having launched the crew for the event, the tractor’s steering ram hoses burst which stranded the tractor in the shingle and emergency repair to replace both steering ram hoses was needed. The tractor would not be at risk of being stranded in the water once the tide came back in. The tractor would be repaired and working over the weekend, as the fine weather means there’s every chance of a Shout at any time. [Edited to add: as actually happened on Sunday 15th July]. All of which demonstrates that all donations we receive, however large or small are much appreciated and do indeed help us towards ongoing costs, as well as new equipment because all PLIRB equipment needs constant investment to keep it functioning safely.